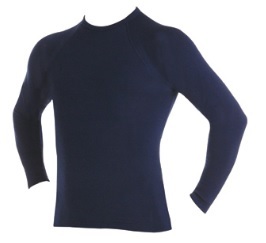 3PEAKS Adults Polypropylene Thermal Long Sleeve Top. Polypropylene is naturally hydrophobic which means that it retains minimal amounts of moisture. It wicks moisture (perspiration) away from the kin, keeping the skin dry and comfortable warm.